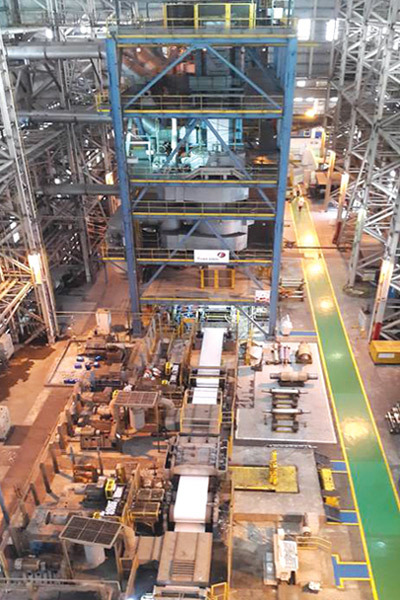 Launched in 1976, ZINCALUME® steel, the world’s leading Al-Zn alloy coated steel product is an outcome of extensive research and continues to set standards for corrosion resistance and long life. It is designed to withstand the rigors of various climatic conditions, and for over two decades, the product’s performance has been constantly monitored across a wide range of climatic conditions using exposure test sites and infield inspections. 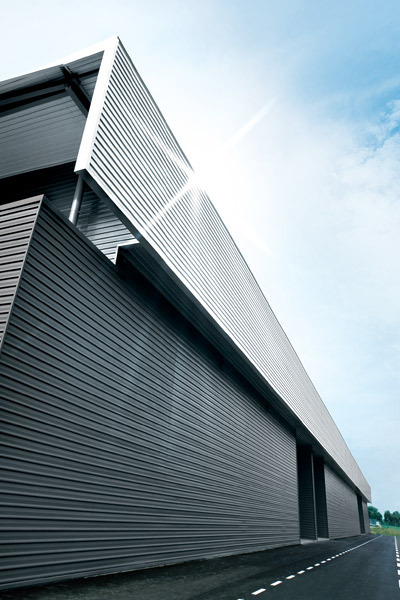 ZINCALUME® steel combines both the galvanic protection of Zinc and barrier protection of Aluminium. On an average ZINCALUME® steel (AZ150) lasts up to four times longer than Galvanised steel (Z275) in similar environmental conditions. ZINCALUME® steel has lower thermal mass as compared to conventional building materials, so it does not hold heat for long. The primary source of heat is sunlight. 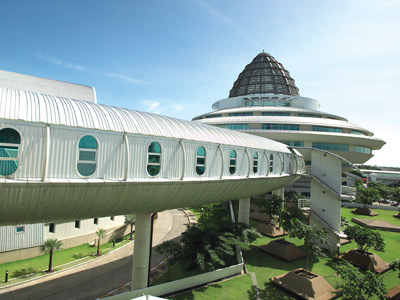 The fine spangle and special surface treatment of ZINCALUME® steel (with SRI value 57) enables it to reflect a greater portion of the sunlight and transmit less energy into the building. ZINCALUME® steel is manufactured using most advanced surface treatment technology, coated with special passivation and resin as a separate layer. This double layer protection ensures anti darkening property helping roof and wall cladding look newer for longer. 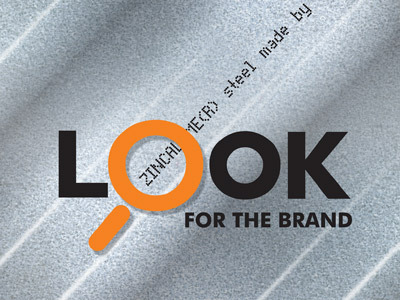 ZINCALUME® steel is supplied with a brand mark at regular intervals on the backer coat side of the strip. 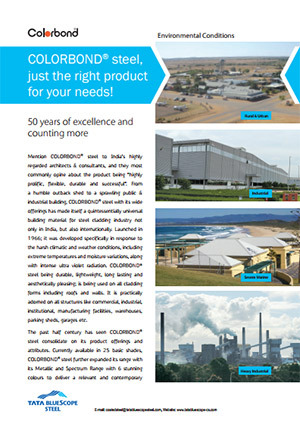 This assures highest quality, backed by a team of qualified, experienced personnel at Tata BlueScope Steel. 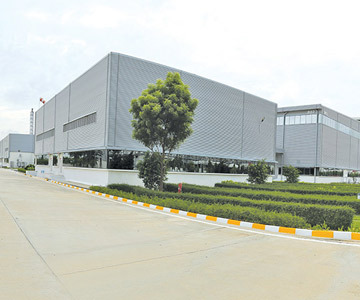 ZINCALUME® steel offers several environment friendly credentials. With no welding or wastage during construction; there is no damage to local flora and fauna. Steel is 100% recyclable – which means its life cycle is potentially continuous. 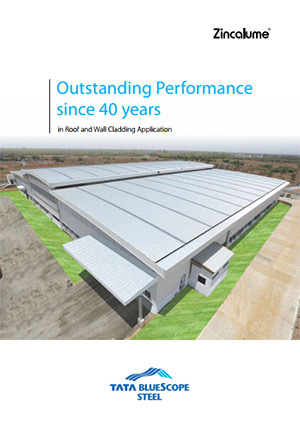 ZINCALUME ® steel is a zinc/aluminium alloy coated steel with a distinctive clear resin surface finish, made by Tata BlueScope, specifically for Light Gauge Steel framing system market. 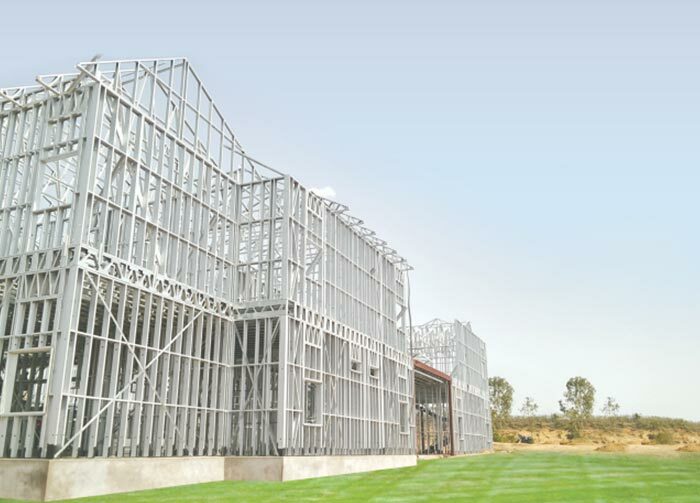 Wall and roof frames made from ZINCALUME ® steel are termite and fire resistant, straight and true, light-weight yet strong. 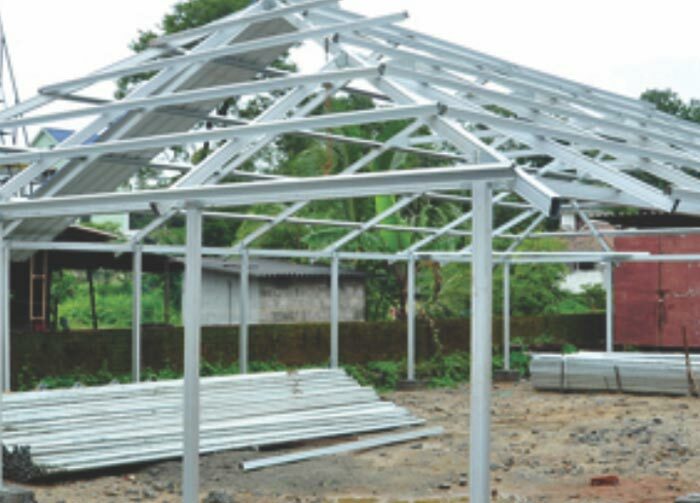 Today, frames made from ZINCALUME ® steel are quick and simple to erect, easy on the environment, and adaptable to a myriad of building designs. 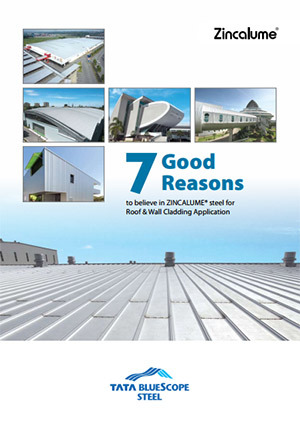 Wall and roof framing made from ZINCALUME ® steel is 100% termite and borer proof. It is also non-combustible, which significantly reduces the amount of flammable material. 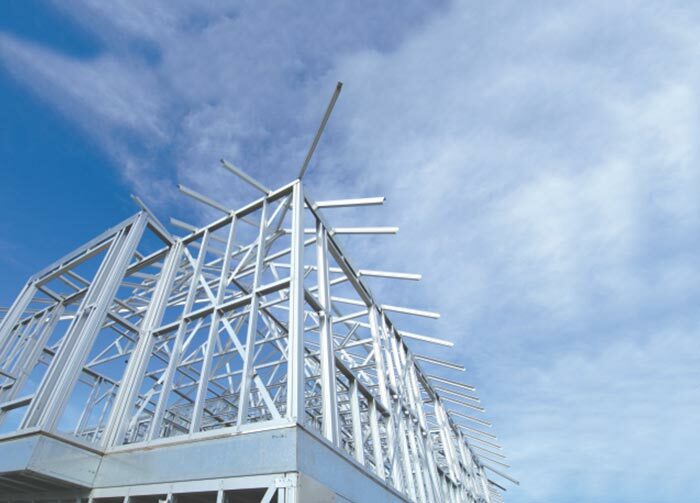 Wall and roof frames made from ZINCALUME ® steel are precision engineered to be dimensionally accurate so that it reduces the problems such as cracking cornices, jamming doors, sticking windows or wavy rooflines. Besides, it lends itself perfectly to innovative designs and non-conventional roof lines, helping to create distinctive, highly individualized buildings. In particular, the high strength-to-weight ratio of steel roof framing allows for longer spans, creating larger, more open living areas. And because it’s steel, it measures up against increasingly stringent building and fire regulations. 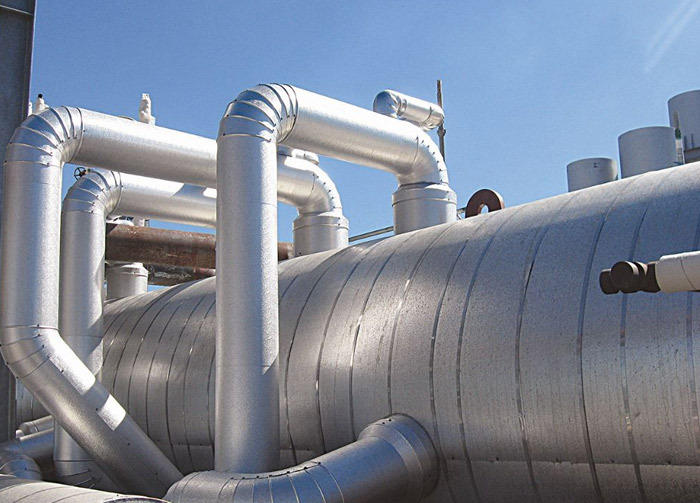 The thermal insulation for piping, especially in the processing industry, plays a vital role. It is highly imperative to maintain the required temperatures of fluids or gases. In applications like hot or cold insulation (e.g. turbines, boilers, pressure vessels, chemical processes in refineries, pharma and metallurgical industries and critical cryogenic processes), a properly designed ‘Insulation System’ enables achieving targets set through energy conservation. 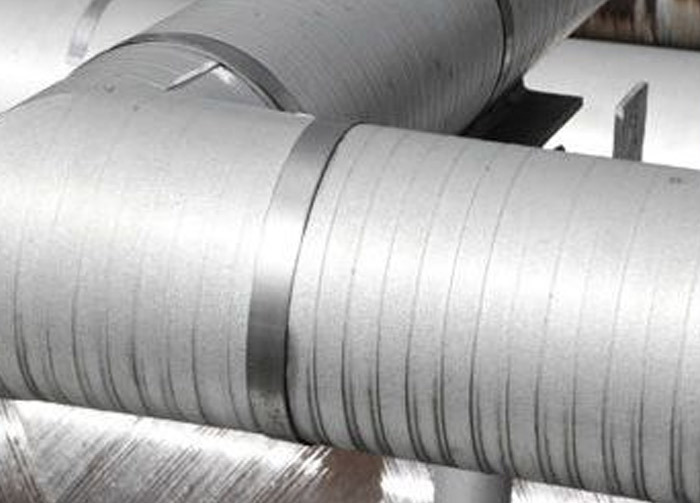 ZINCLAUME® steel is a preferred material for pipe cladding due to its excellent impact resistance, higher strength, flexibility and excellent corrosion-resistance. 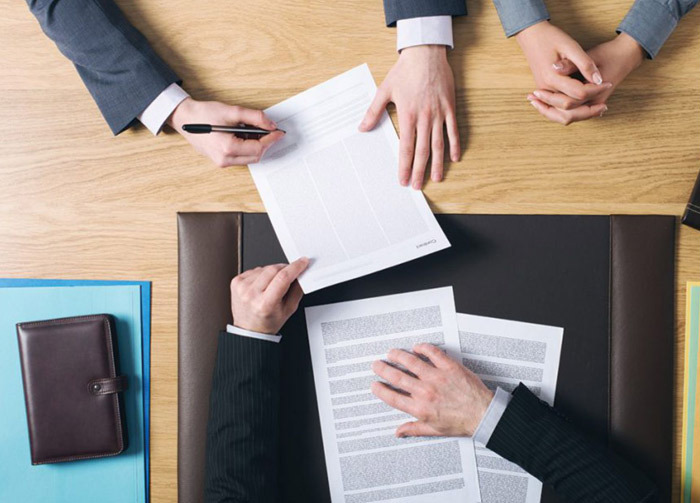 It is also an economical solution for certain applications. The 55 per cent aluminum-zinc alloy coating provides both, long-term corrosion resistance of aluminum along with the galvanic protection of zinc at scratches and cut edges. 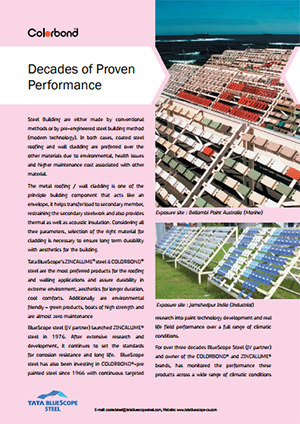 ZINCLAUME® steel jacketing has a substantially longer life when compared with regular galvanised steel in marine and industrial atmospheres. 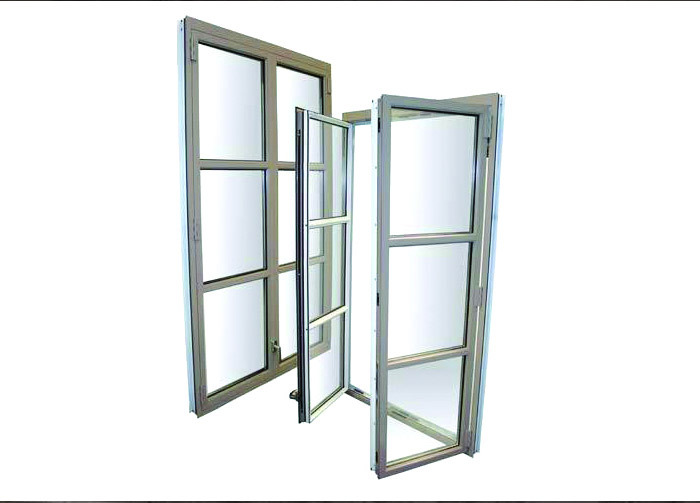 At the same time, it provides superior fire-resistance and protection compared to aluminum. The special alloy coating of aluminum and zinc combines the best properties of both metals. 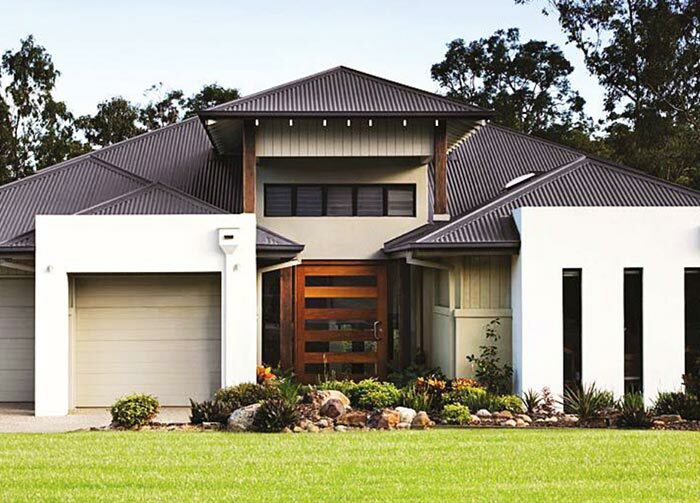 Superior Quality door / window frames can be made from ZINCALUME® steel and COLORBOND® steel. 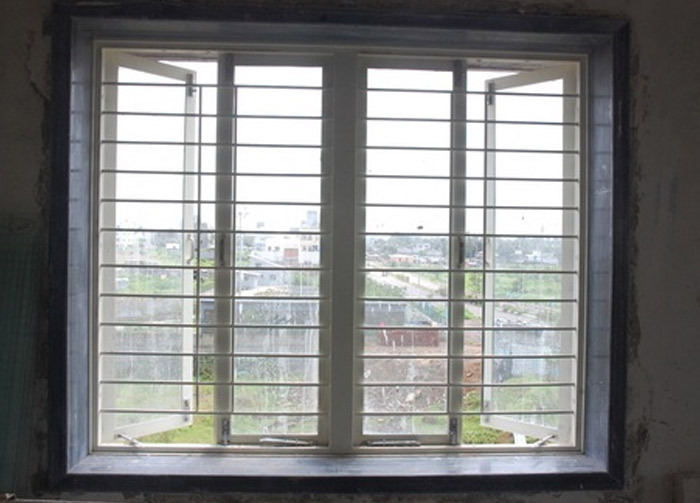 It provides immaculate strength along with excellent corrosion resistance without any warp or termite & thus improves life by several years. 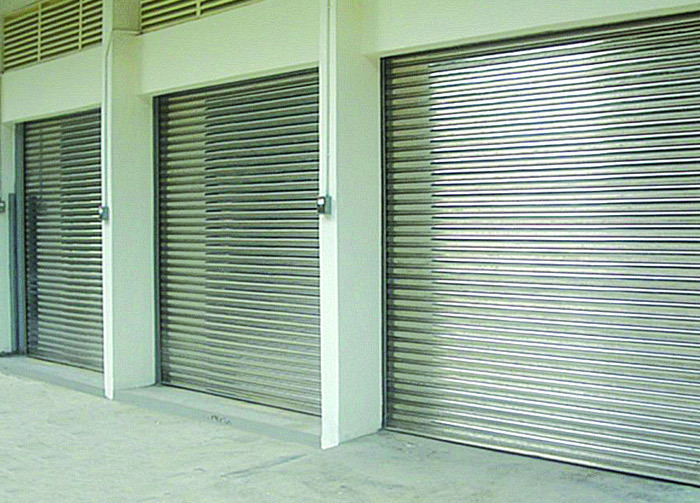 The high strength and longevity of Tata BlueScope Steel provides the best value preposition for customers looking for an ideal solution for rolling shutters application. The features when clubbed with corrosion resistance and the aesthetic appeal becomes a more compelling value preposition for customers looking for a hassle-free long lasting solution. The light weight of the drywall partition material combined with ease & simplicity of construction, makes drywall system a preferred solution in the Industry. ZINCALUME® steel with it’s strength & lightweight becomes the first choice for steel stud frames which binds the gypsum / fiber cement boards. 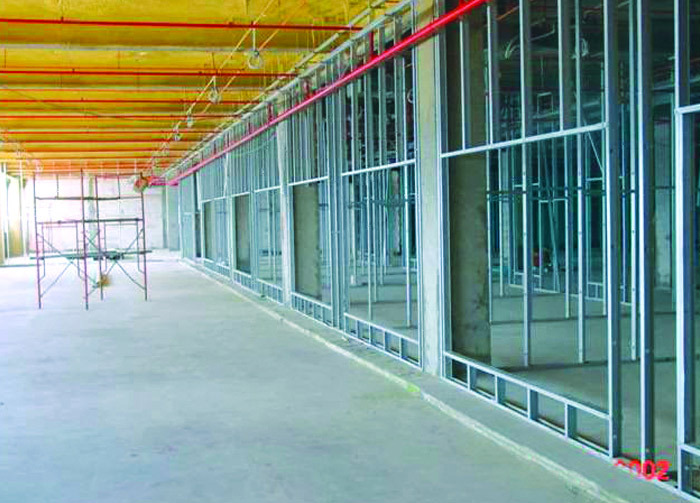 ZINCALUME® steel helps fabricate light gauge frames which in turn reduces the overall weight of partitions & drywalls and thus reduce the cost of installation and transportation. 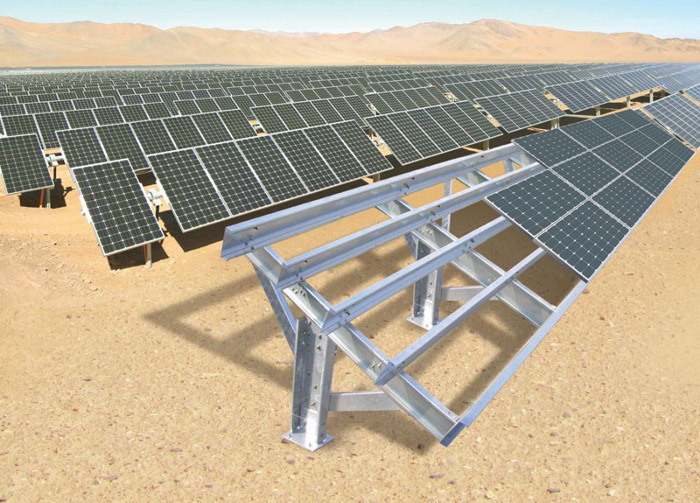 Solar modules stand in very challenging environmental conditions for years & therefore the solar industry demands for high corrosion resistance material. ZINCALUME® steel gives an extra edge of up to 4 times life to critical parts of support system. HR sections & reduce overall weight of structure which in turn reduces the transportation cost & makes installation easier. It inturn reduces the maintenance and replacement cost. 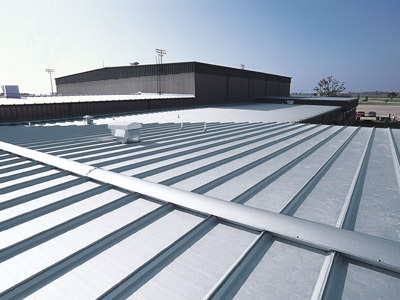 ZINCALUME® steel is one of the world’s leading Al-Zn alloy coated steel ideal for roofing, wall cladding and manufacturing alternate applications. 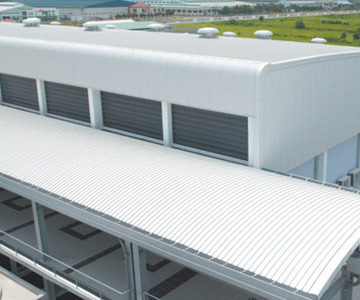 Metallic coating of ZINCALUME® steel combines the corrosion protection of aluminium with sacrificial protection of zinc that enhances corrosion resistance and gives significantly longer service life than the galvanized coating. 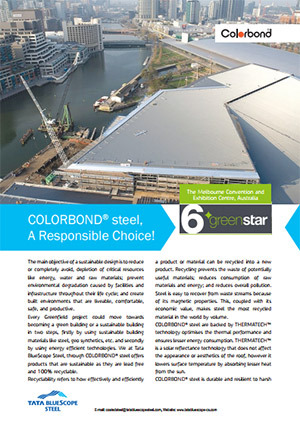 ZINCALUME® steel is manufactured using proven technology and durable surface treatment (coated with special passivation and resin as a separate layer) ensures your roof and wall cladding looks newer for a longer period of time. 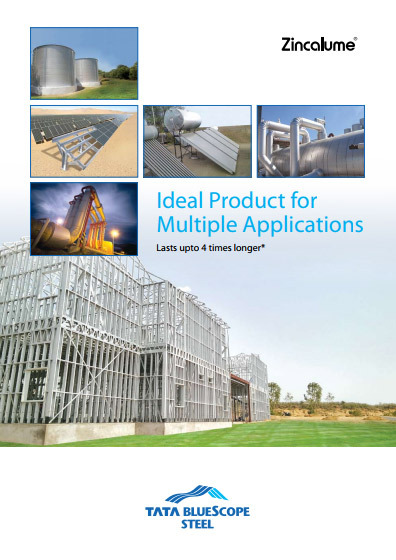 Explore our comprehensive collection of ZINCALUME® product brochures, case studies and more. 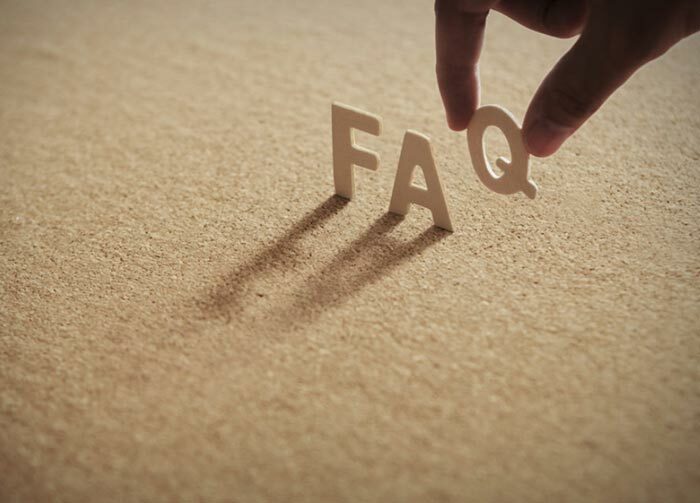 What is the difference between Base Metal Thickness (BMT) and Total Coated Thickness (TCT)? The Base Metal Thickness (BMT) measures the steel substrate prior to any metallic coating or paint being added to the substrate. The Total Coated Thickness (TCT) measures the steel substrate as well as the metallic coating, resin coating and/ or paint film. 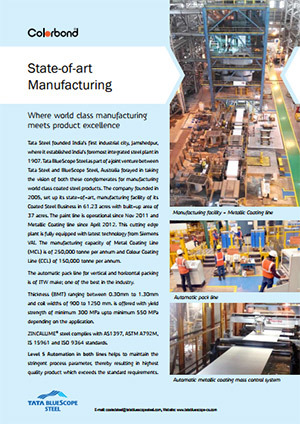 If a Tata BlueScope Steel AZ150 coated product is labeled as 0.42mm BMT means that it will have TCT of 0.47mm. If the BMT is measured at 0.48mm means that the product will have a TCT of 0.53mm. 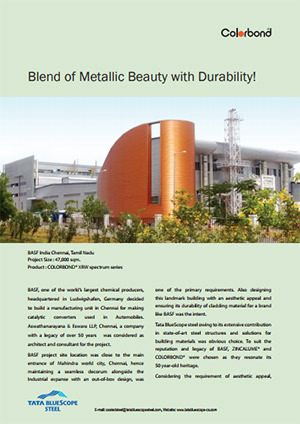 For design calculations or structural design one should use BMT since the actual strength of the material is from its base steel. 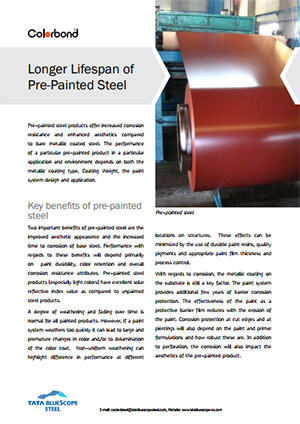 The metallic coating layer provides the corrosion resistance against natural weathering. Does the thickness of the material affect the corrosion performance of my steel roof? 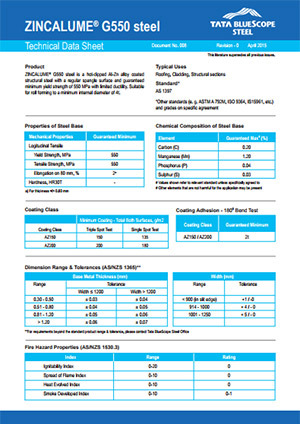 It is important to note that the thickness of the material has no effect on the products corrosion resistance. 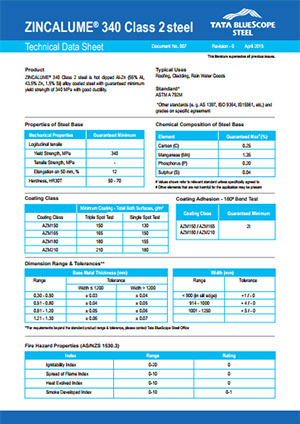 The type and amount of coating mass will affect the corrosion performance of the product. The Solar Reflectance Index (SRI) is a numerical expression of a constructed surface’s ability to reflect solar heat. 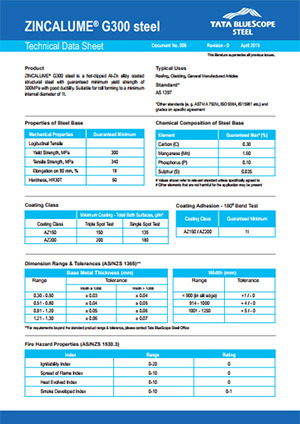 SRI values are derived from a calculation in ASTM E1980 which uses a roof’s solar reflectance, thermal emittance and medium wind coefficient to generate a unit-less value from 0 to 100. A standard black (reflectance 0.05, emittance 0.90) is 0 and a standard white (reflectance 0.80, emittance 0.90) is 100. 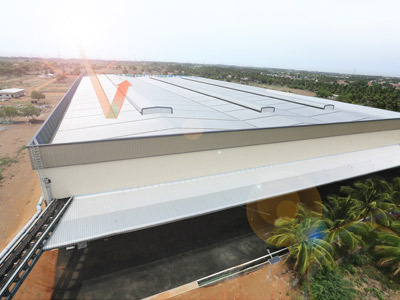 The higher SRI values indicate a roof whose surface temperature is lower, thereby reducing heat gain in the living space beneath the roof. 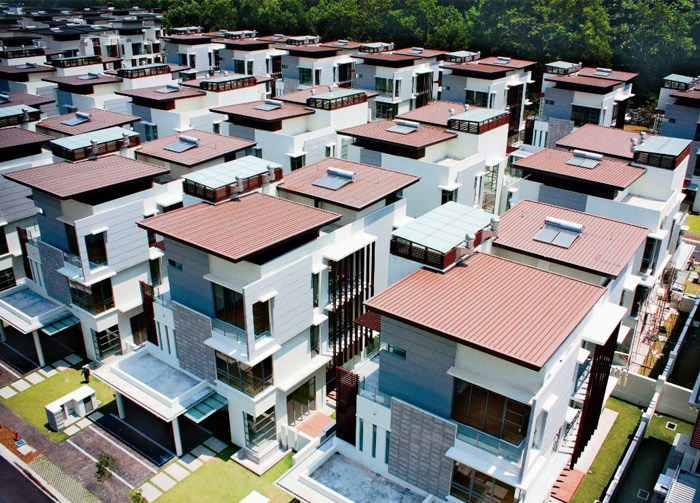 Green building rating tools such as Leadership in Energy and Environment Design (LEED) and Malaysia’s Green Building Index (GBI) encourage using building materials with high SRI values to reduce the intensity and impact of the Urban Heat Island (UHI) effect. 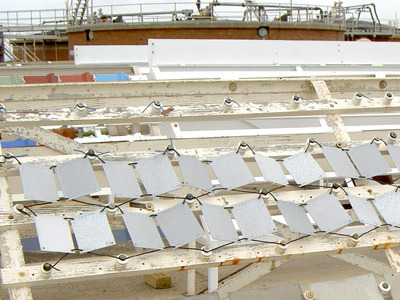 A solar reflectance technology is incorporated into COLORBOND™ steel to lower surface temperature by absorbing less heat from the sun. Thermatech™ optimizes the thermal performance of every colour in the standard COLORBOND™ steel palette, without changing their appearance. 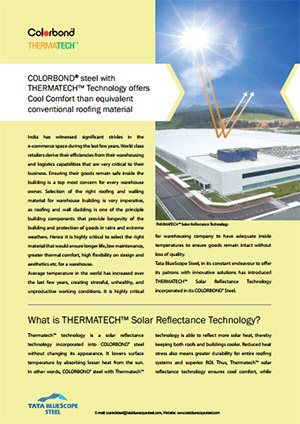 Thermatech™ provides greater thermal comfort (Cool Roof) all-year round, whilst using less energy for air-conditioning and helps to mitigate the urban heat island effect.